Happy almost Friday, everyone! How is your week going? After a couple week of good but not great hikes, Ryan, Charlie, and I went on an amazing hike this past weekend. 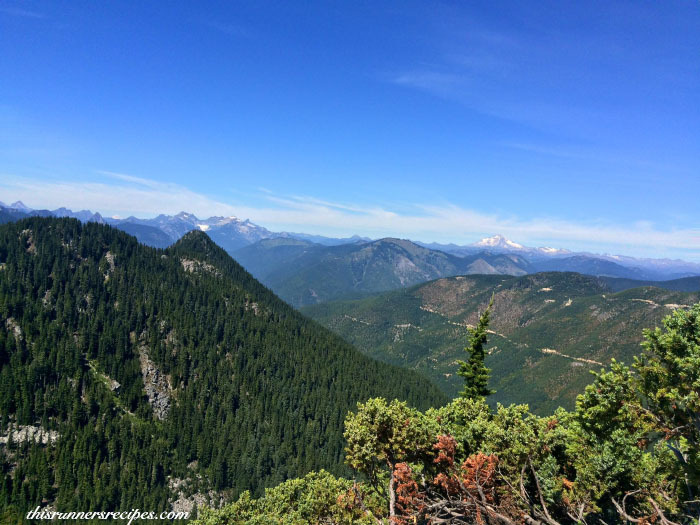 Hiking to Beckler Pass in the Snoqualmie National Forest was a moderately hard hike that rewarded us with absolutely breathtaking views of the surrounding Cascades. Ryan took all of these photos—isn’t he an amazing photographer? Also, we’ve determined that my iPhone has a wonky camera. That’s what happens when you have to get a refurbished phone from your phone insurance because yours unfortunately encountered boiling water while you were making bagels one day. But I digress. The hike was just under 4 miles each way from the parking lot to the very top of the peak. We gained about 2600 feet over those four miles, and it was a steady climb the entire way. To get to the trailhead, we drove up a steep road for about 5 miles. By the time we started our hike, we were already at approximately 2400 feet above sea level. By the time we were halfway through the hike, all of us were feeling the effects of altitude on our breathing. Nothing too drastic, but just enough to notice a difference in our perceived effort. 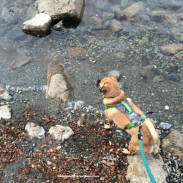 Charlie loves hiking so much! He was so happy when we got to the trail. Just look at that smiling face! 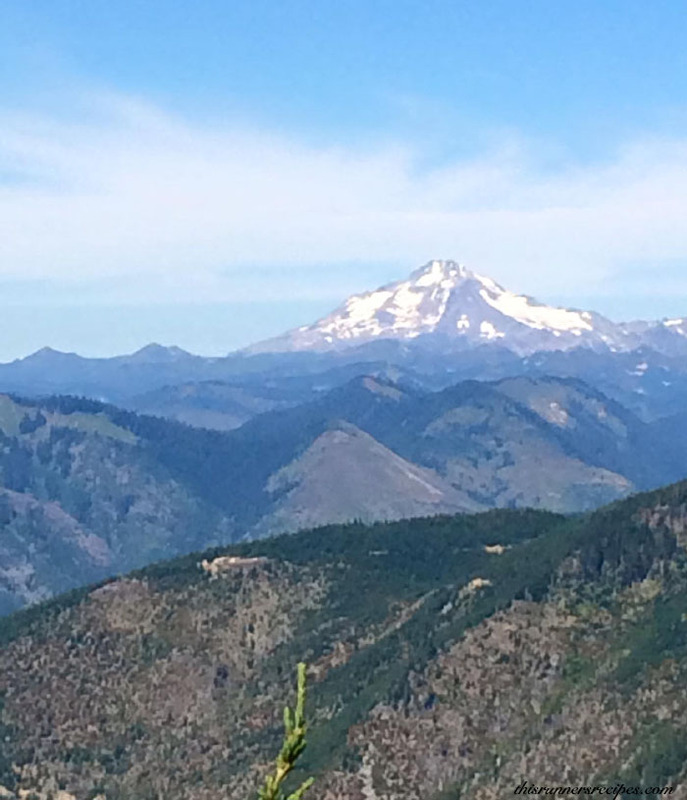 The hike began at the Jennifer Dunn trailhead along an old, decommissioned logging road. Soon, though, you cross over a few small creeks and the trail narrows and goes into the forest. 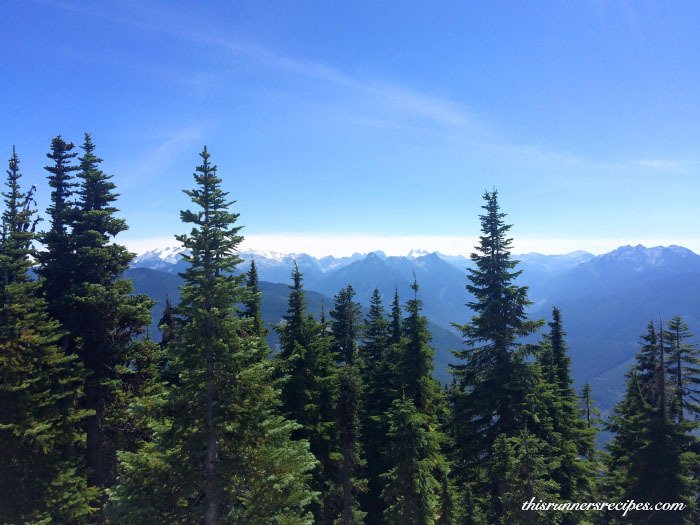 There are so many beautiful and majestic trees along the trail, teasing you with peaks into the picturesque view of the surrounding Cascades. There were some steep, long climbs and several switchbacks, but the hike was well worth the effort for several reasons. First, since this trail is only a few years old, it was quiet. We saw enough hikers to make us feel safe, but the trails were by no means crowded. Second, the view was incredible. 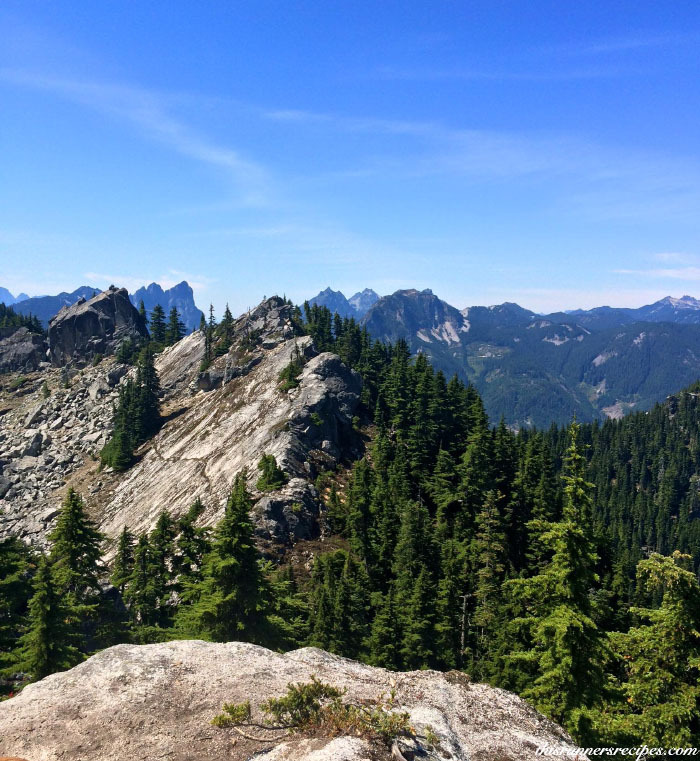 Beckler Peak overlooked Mount Index, the Monte Cristo range, and several other mountains. I love the mountains. We enjoyed a picnic lunch up at the summit. This time, we brought organic canned albacore tuna, homemade sourdough, and some granola bars I made for the e-cookbook, which were so delicious and satisfying. The protein definitely helped me keep my energy up, even after my 15 mile run earlier that day. We could have spent all day up here! 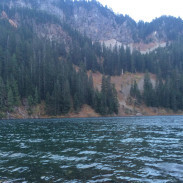 Beckler Peak was definitely one of my favorite hikes, along with Goat Lake. The hike up took about 1 hour and 45 minutes and the hike down took just about 90 minutes. The one downside of this trail was that it was dusty—we had dust all over our ankles and hands by the end of this hike. Then again, there has barely been any rain in the two and a half months we’ve lived in the PNW! 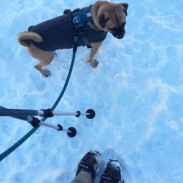 We purchased a refurbished Garmin Fenix Garmin Fenix Hiking GPS Watch (affiliate link) a couple weeks ago and are still learning how to use it on hikes. So far, it’s worked well, especially when we figured out which mode to set it in. I like being able to know our altitude at any given point. It also tracks distance, time, temperature, and barometric pressure, and also it allows you to leave breadcrumbs on more rugged hikes so you can find your way back. On a final and tangential note, Brooks, Oiselle, and GapFit (I love their running tops!) released their fall lines. I love fall clothes, both the style and the texture. Fall is my spirit season: the weather is perfect, Ryan and I both have our birthdays, our wedding anniversary is in the fall, and I obsess over all the colors. I’m so ready to start wearing long sleeve shirts and shorts on my runs and jeans, boots, and everything jewel-toned for non-running. Can fall get here now? It’s too hot in Seattle. Who else loves fall and can’t wait for it to arrive? What are your favorite hiking/picnicking meals? Just wait. The rain is coming. You hiked after a 15 mile run? OMG! I wish my dogs could hike with me. Maybe Lola could but Chester would have to be carried. Snoqualmie is such a lovely area. We rarely actually do much when we’re out there, though, my husband’s mother is over 80 so we’re just visiting. I get my runs in & those hills! Oy! We don’t live in a flat area but it’s nothing compared to out there. 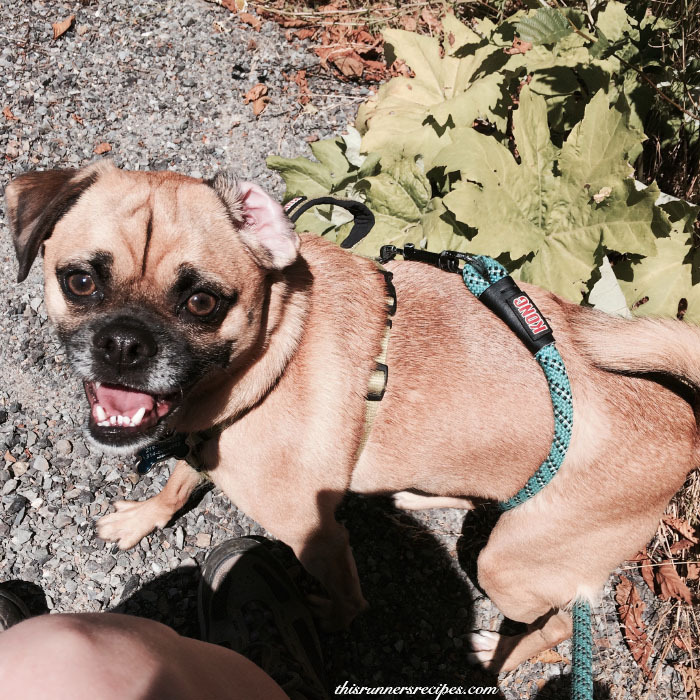 Charlie manipulates us into carrying him sometimes, but since he’s 3/4 beagle and only 1/4 pug, he usually just follows his nose 🙂 Snoqualmie is so beautiful – how lucky that you get to visit is so often! Wow! What a beautiful hike! You are so lucky to have access to that. Thank you! 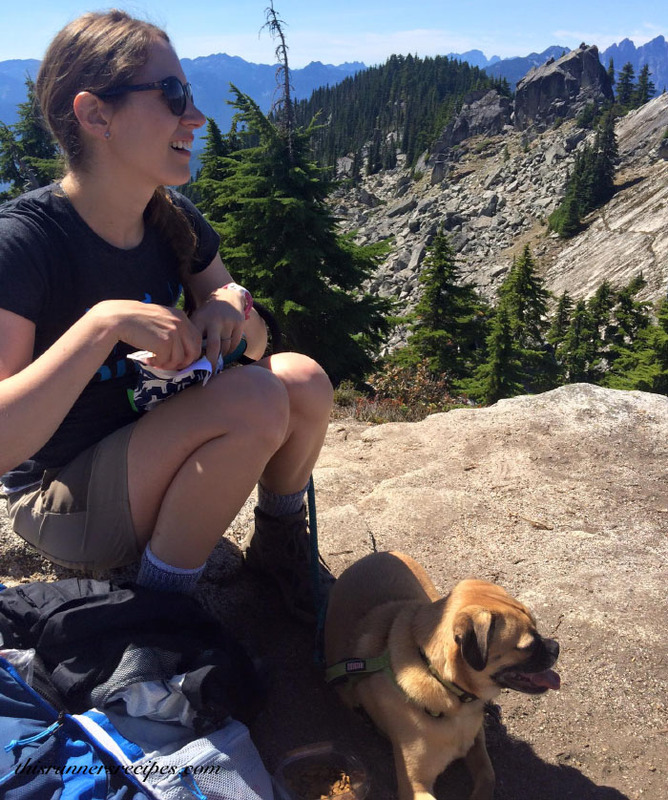 I still can’t believe hikes like this are 90 minutes or less from where I live – it feels like a vacation! Ohhhh, so beautiful. I love our mountains! And I love Gap body clothes, too. I bought a pair of their tights because I couldn’t get to Lulu and I like them even more! The mountains in the PNW are so beautiful! We’re in the Midwest for a bit and I totally miss than already. I love the GapFit tights – definitely some of the best I’ve tried! Your photos are amazing – Ryan really is a good photographer! 🙂 Thanks for all the great hiking inspiration for when I finally arrive in Seattle. We were also in the Snoquamie region last Saturdaying hiking to Snolake. It’s absoultely stunning in the PNW! BEYOND beautiful! I’m super excited for fall and all the activities/flannel/and Starbucks that come with it, but I’m trying my best not to wish away these last few weeks of summer! With how brutal last winter was on the East Coast, I’m trying to take in as much warmth, sun, and even humidity as I can!